It is amazing what we can learn from our friends in the sky. 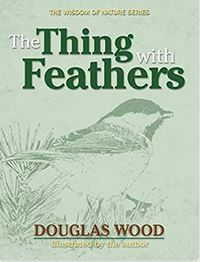 Here, Douglas Wood takes a closer look at the beauty of birds and the awareness they can offer into our everyday lives. The book’s illustrations and brief meditations are truly inspiring.